Are you eager to watch your free-to-air TV channels in HD? Well, that might takes place very soon as Media Prima is planning to come out with HD simulcast for one of its terrestrial TV channel. According to this report by The Edge, it might be take placel as early as the first half of 2014 although the media giant have yet to reveal the actual channel (out of four) that will receive the HD treatment. 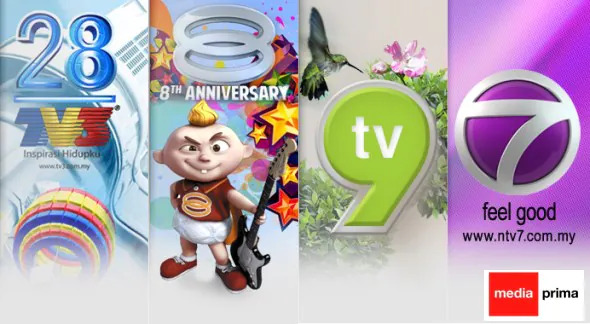 Media Prima’s Chief Financial Officer Mohamad Ariff Ibrahim has stated that the HD simulcast will be immediately launched once the digital terrestrial television broadcast (DTTB) infrastructure is in place. According to MCMC, the initial roll-out of DTTB services is expected to happen in the first quarter of 2014 while full nationwide coverage is targeted by end of 2015. An interesting development and long time coming indeed. So…which Media Prima channel that you would like to see on HD?